This moving collection brims with loss and longing. The daughter of Dominican immigrants, Méndez fought for independence against her overly-protective parents, obtaining a full scholarship to college, a dream job after school and a master’s degree shortly thereafter. But the full-time job with medical insurance doesn’t satisfy her urge to write and perform, so she leaves it in search of creative fulfillment. In this stirring collection of personal essays and poetry, Méndez shares her story, writing about encounters with the medical establishment, experiences as an Afro Latina and longing for the life she expected but that eludes her. 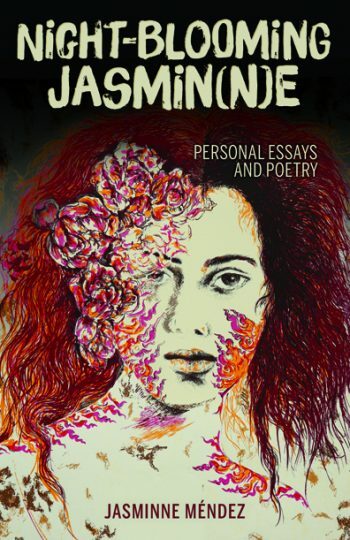 Click here to listen to an interview with Jasminne Méndez about her book, Night-Blooming Jasmin(n)e: Personal Essays and Poetry. JASMINNE MÉNDEZ is a Macondo and Canto Mundo Fellow, as well as a Voices of Our Nations Arts (VONA) alumna. She is the author of a multi-genre memoir, Island of Dreams (2013), winner of an International Latino Book Award. She lives and works in Houston, Texas.